Our membership is your peace of mind. Gives families the security that we are meeting nationally recognised standards within the business. SAIF and NAFD rigorously maintain their standards through a series of inspections and visits to our premises which ensure that high standards are in place at all times. Standards are important to us in setting out exactly what Kyle Bros Funeral Directors responsibilities are giving families the security and reassurance that the funeral arrangements will be performed in a professional manner. When you choose an Independent Funeral Director you are choosing a locally owned funeral director. The independent funeral profession has a long and proud history of personal service to local communities. They are deeply committed to upholding professional standards. In all forms of business today there are big international companies that have made their profits through taking over small firms. The funeral profession is no exception. Many businesses have been swallowed up by the giants. The trouble is there usually isn't any change of name to tell you of the difference. That makes it hard for you to distinguish between the family owned firm and the conglomerate - if you're unsure ask. It's imortant that you know who you are speaking to - an independent funeral director or just one of the branches of a vast conglomerate. 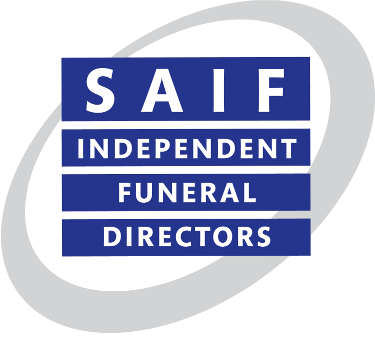 We are proud to be members of the National Society of Allied and Independent Funeral Directors, the ony professional organisation in the UK exclusively dedicated to serving the local independent funeral director and his or her community. Some 55% of funerals throughout the country are arranged by independents. We are proud and priveleged that an independent funeral director was chosen to carry out the funeral of Diana, Princess of Wales and other members of the Royal Family.